StageBuzz.com: FRIGID Festival Interview - Suzen Murakoshi of "Breathe Love Repeat"
FRIGID Festival Interview - Suzen Murakoshi of "Breathe Love Repeat"
Suzen Murakoshi was born in Aiea, Hawaii, and received an MFA from the New School Drama School in Playwriting and Acting. She has had her work performed at La MaMa, ETC, the Edinburgh Festival Fringe, the Penumbra Theatre Company, Circle in the Square Downtown. and the Edward Albee Theatre Conference. 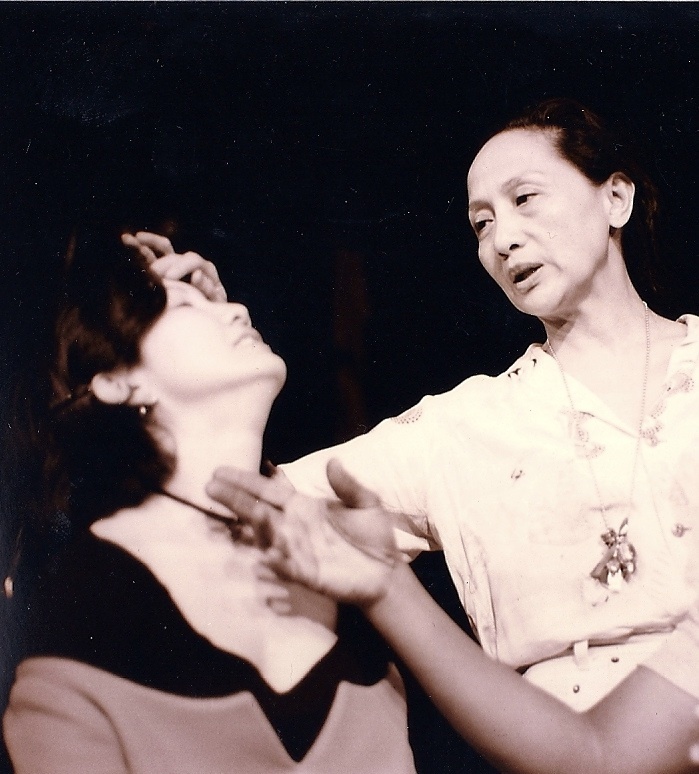 In 2005, Ms. Murakoshi was invited to the Dialog International Theatre Conference in Wroclaw, Poland with members of NY Theatre Workshop. In the summer of 2007, she was invited to the Southampton Writers’ Conference to study with playwright Marsha Norman. Ms. Murakoshi has worked with the 52nd Street Project in New York City for many years as a writer, actor and director. While there, she co-wrote short plays with Willie Reale (who wrote Frog and Toad) as well as having been directed as an actor by Frances McDormand. She has also spent four summers at the Williamstown Theatre Fesiival working with the Greylock Theatre Project ( a re-creation of the 52nd Street Project) as a dramaturg/director. As an accomplished performer, Ms. Murakoshi has worked on Broadway stages, off-Broadway, in Europe, Canada and in American regional productions. In 2007, Ms. Murakoshi was awarded with a Proclamation for Public Service by the Mayor of the City of New York for her work with the Kids Project where she is the Artistic Director. The Kids Project performs free shows for the NYC area with a target audience of 90,000 children and adults annually. She presently studies playwriting with Han Ong, a MacArthur fellow. As a dancer, recitals lead to musical theatre, which led to dance companies, to the University of Hawaii, New York City, Broadway musicals, etc. Breathe Love Repeat was inspired by the lowest point in my life, when I was trying to honor my mom's dying wishes, literally. It was nearly impossible, but we managed to do it. I workshopped the show at the People's Improv Theatre with Jen Nails in the DIY camp in order to bring in the right tone and humor. Probably playwright Romulus Linney, who said all great theatre explores big, tough questions that scare you. This show scares the **** out of me every time. Director and Obie-winner Ching Valdes-Aran is my favorite collaborator. We've been working together for over 20 years, starting downtown at La MaMa, ETC, where she is a resident director. More CAAF festivals, and hopefully other theatres in Hawaii and Japan. Coming to Breathe Love Repeat will be time well-spent, you will be glad you did. I am SO looking forward to experiencing Suzen's performance in 2 weeks!!! !